Last modified on 26/2/2017 at 4:49:00 PM. Total 192 views. The species, Podochilus rotundipetala Aver. et Vuong, was found at Hon Ba Nature Reserve in Khanh Hoa Province, located in the south-central region, following joint efforts by Vietnamese and Russian professional botanists and orchid enthusiasts to study native Vietnamese orchids between 2013 and 2016. According to Truong Ba Vuong, a botanist from Vietnam’s Institute of Tropical Biology and a member of the research team whose name was given to the new orchid species, the flower was discovered in the evergreen forests of Hon Ba Mountain at an elevation of between 1,400 and 1,500 meters above sea level. The plant measures between eight and 17 centimeters tall, and is densely tufted on short, insignificant plagiotropic rhizome. Its floral bracts are greenish to pale purple in color, triangular in shape, and measures between 1.2 and 2.2 millimeters long and between 0.5 and 1.2 millimeters wide. Each plant of the new orchid species may yield between one and ten flowers, the pedicels of which are ovary white, cylindrical and slightly curved. The flowers are entirely white and not widely opening, with fleshy, almost circular and forward-headed petals. In its floral morphology, P. rotundipetala Aver. et Vuong has no similar species in the flora of mainland Asia, and it has yet to be found anywhere in eastern Indochina outside Hon Ba Mountain, according to the scientists. 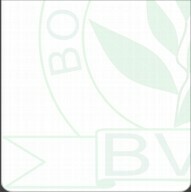 all drawn from the type – Truong Ba Vuong, BV / AL 86 by L. Averyanov and T. Maisak. the new species is published on Taiwania 61(4) in December 2016.